As the thunder crashes during a summer storm, it’s nice to have the peace of mind that comes with a well-installed roof. The roof is the crown of your estate, form combined with style. At Aspen Exterior, our expert roofing contractors provide a service that is unmatched in the business. All shingles are laid by hand with distinction and care made of fiberglass asphalt or cedar shake. 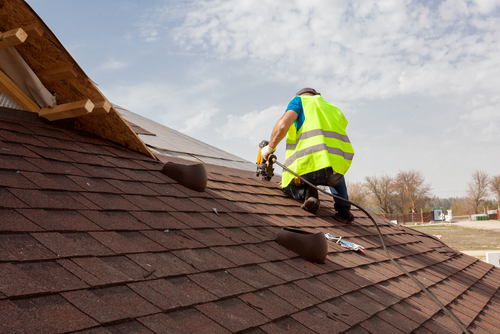 Many people wonder when they should call a roofing contractor to get their roofing replaced. It is best to replace it while there is still life in it, like tires on a car. A roofing project begins with protecting landscaping with tarps and plywood. The old shingles are removed and hauled away. The wood decking is inspected, and any deteriorated areas are replaced at a per square foot rate. Ice shield membranes are applied on the roof edges and valleys to help protect against ice damming. New shingles are then applied, flashing and vents replaced and the area cleaned up to include a magnetic sweep to locate any hiding nails. Besides protecting your home from the elements, roofing installation now also is available in many shapes, color and textures to give a design to a major component of your home. At Aspen Exterior, we have major brands available such as CertainTeed, GAF, Atlas, Owens Corning, Tamko, and more. If you’re looking for the best roofing contractors in the Northwest Chicago Suburbs, Aspen Exterior is the place to call. CertainTeed has a shingle to compliment any exterior design. From a traditional 3-tab such as XT25 to a designer shingle like Landmark, premium shingles from Independence, and Grand Manor to energy star rated Solaris, which is a solar reflective shingle. Stop by our design center to view samples and discuss options with one of our designers. Royal Sovereign shingles combine a simple, timeless beauty with GAF’s Advanced Protection making it their most popular 3-Tab shingle for roofs. 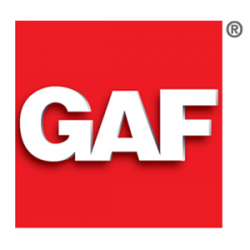 GAF also has many designer shingles such as a Timberline Dimensional Wood Shake look to Camelot, Slateline, and Grand Sequoia to give you the design elements to make your home…yours. Atlas Pinnacle Shingles are manufactured using the latest in algae-resistant technology so you will never need to worry about streaking again – ever. Pinnacle Shingles featuring Scotchguard™Protector is the best assurance of built-in long-term algae and stain resistance.